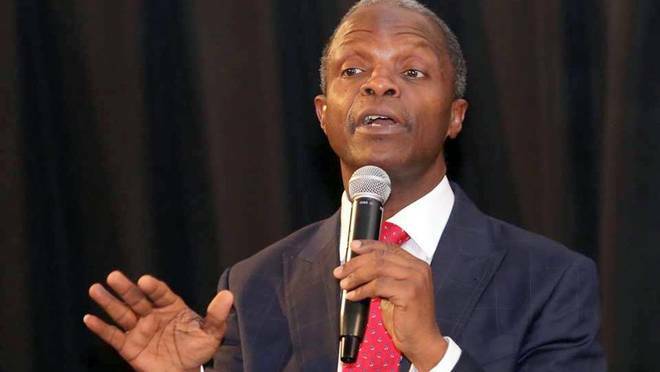 Vice-President Yemi Osinbajo has reacted to the decision by the Independent National Electoral Commission (INEC) to postpone the 2019 presidential and National Assembly elections. While describing the postponement as ‘truly disappointing’, Osinbajo said the march to the Next Level continues. Recall that INEC Chairman, Professor Mahmood Yakubu, addressing reporters yesterday at the press centre of the commission’s headquarters in Abuja, the nation’s Capital said that the polls would not go on as planned due to some challenges encountered by the commission. He explained that the decision to postpone the polls followed a careful review of the implementation of the logistics and operational plans put in place for the exercise. In a tweet by Laolu Akande, his spokesman, the Vice President said: “Mr. President was already in Daura in Katsina State and the VP already in Lagos to vote this morning before the postponement just announced by INEC.